Our kung fu school has been training Sydney’s adult and junior martial artists 6 days a week for 36 years! When you join us you will practice kung fu in an authentic Chinese-style Kung Fu Kwoon. Our Master is Sifu Joshua Smith, the first disciple of our late Grandmaster, SiGung Randy Sullivan Bennett. Students are trained directly by Sifu and our team of expert kung fu instructors. Our Headquarters is located in a historic converted warehouse in the heart of Sydney, on Foster St Surry Hills. 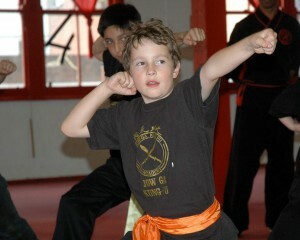 In addition we run community martial arts classes in Chatswood, one of Sydney’s major North Shore suburbs. Whether you are a parent looking for a safe and stimulating after school class for your child or an adult who has always wanted to learn Kung Fu or improve your existing martial skills, we invite you to contact us for a free trial. Join in our Kung Fu programs for self defence, fitness and the ‘Art of Kung Fu’. For adults and youth who want a high energy cardio and conditioning martial arts session we also recommend our Circuit Kung Fu & Kickboxing classes. Jow Ga Kung Fu has trained Sydney’s adult and junior martial artists for 35 years led by Grandmaster Randy Sullivan Bennett. When you join us you will be trained by expert Kung Fu instructors in an authentic Chinese style Kung Fu Kwoon. Our HQ are located in an historic warehouse in the heart of Sydney’s Surry Hills. We also run community martial arts classes in Chatswood. Try out for free whether you want a safe stimulating after school class for your child or if you want to begin Kung Fu yourself or improve your martial skills. Discover Kung Fu programs for health, fitness and the ‘Art of Kung Fu’. Adults and youth wanting a high energy martial arts session will enjoy our Striking & Kickboxing program. Juniors need to be active and healthy. Our Sydney kids & teens kung fu classes help juniors feel and project confidence, have a positive outlook and set goals for themselves. In these classes kids and teenagers get fitter, learn to defend themselves and have fun practicing all aspects of kung fu! Just click the Free Trial button to book an intro class. Learn Northern and Southern Shaolin Kung Fu handed down from Jow Ga’s famous Five Tigers. 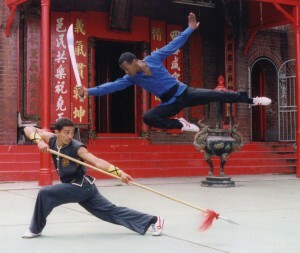 Our kung fu style includes bare-hand and traditional Chinese weapon sets. Join us and harness the lifetime of kung fu practice, knowledge and expertise Grandmaster Randy Bennett passed on to us. Just click the Free Trial button to book your intro class. Join this high energy martial arts program to train in practical skills, with a cardio and conditioning training base. Each session includes partner training, functional stretching and possible sparring for those with advanced kickboxing, kung fu or other martial art skills. Striking & Kickboxing sessions are held at our Sydney HQ in Surry Hills.